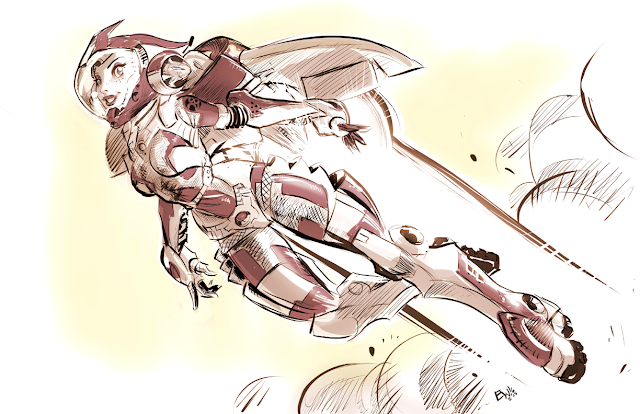 Finished artwork just for fun tonight of 'Jetpack Girl' done on stream on Twitch with a momentary interlude of a 15 donation sketch. Fun time all around. Needed to unwind and do this today was very refreshing. Tried some things texture/ aesthetic wise, not sure if it worked but this is what I got haha.